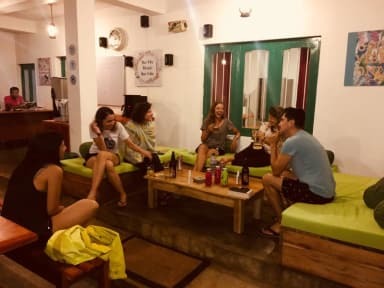 Hidden amidst the pine forests overlooking the panoramic mountain views and paddy fields lies a quaint and whimsical planters bungalow now transformed to a backpackers retreat to relax in true country house style. Surrounded by lush forests , bird call & bubbling streams this a perfect hideaway to explore Ella. This is located at the foothill of both Ella Rock & Ravan's cave. 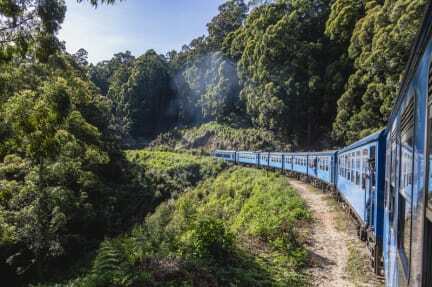 We also serve food, which will make life easier for you, and have a station 5 mins away where you can catch the train to Kandy or Ella (2km away by track). We also do pickup and drops to and from Ella, please call 0777272620. 2. Check in from 12:00 noon to 23:00. But we are flexible, as long as we have prior notice. Please produce your foreign passport when checking in. 4. Payment upon arrival by cash. We would prefer if the traveler pays the total amount on arrival. 5. No Smoking in rooms. 6. Age restriction: 17 above. Perfect place to stay, very clean, beautiful view and very good food. It's far from Ella so you have to walk, ask for a lift to the owner or rent a scooter. Staff is always kind , I'd like to be back soon.